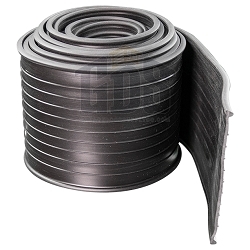 The best replacement 16-foot weather seals for garage doors also cost less at Garage Door Supply Company. Enjoy fast, low-cost shipping of 16-foot lengths of our premium weather stripping. We have T-shaped bulb weather stripping that's flexible enough to cover small, medium or large gaps between the bottom of your garage door and garage floor. 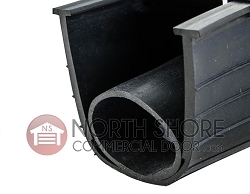 We have 16-foot StormShield garage door threshold kits. Each includes 16 feet of threshold to mount to your garage floor beneath the door and two tubes of threshold adhesive. For wooden garage doors, we have wood seals and astragal nails to secure the weather stripping to the door. 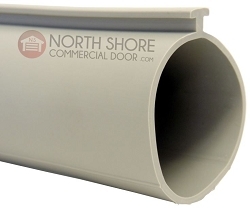 Since we recommend ordering one extra foot of weather stripping, a 16-foot length of weather seal would be the recommended order to replace the weather seal on a 15-foot-wide garage door. Replacing a worn or damaged weather seal on your garage door will keep out insects and other pests while protecting your garage from hot and/or cold drafts. 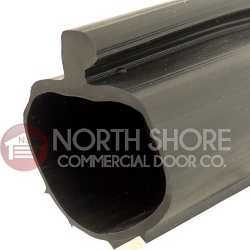 Weather seals also keep moisture from seeping under the door. With the right weather seal, you can prevent seepage that can cause rust, especially at the corners, on your door tracks and cables.